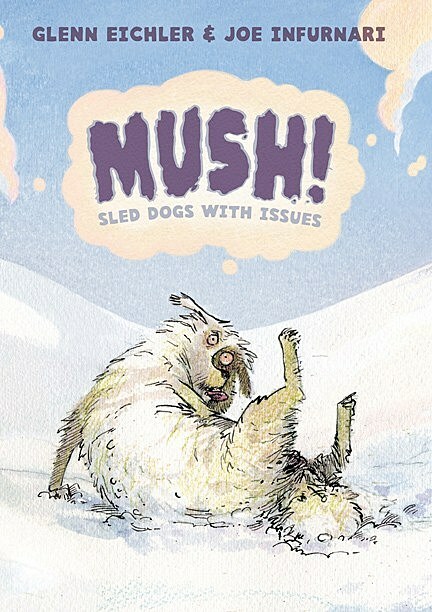 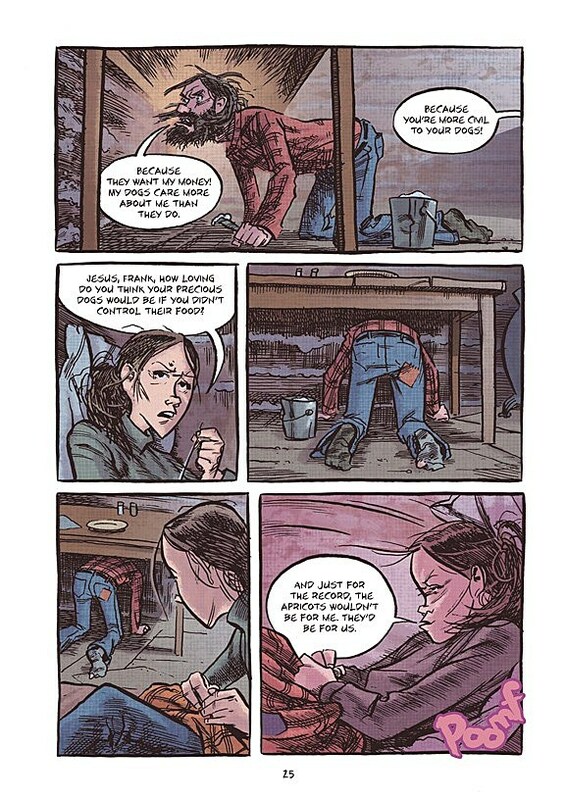 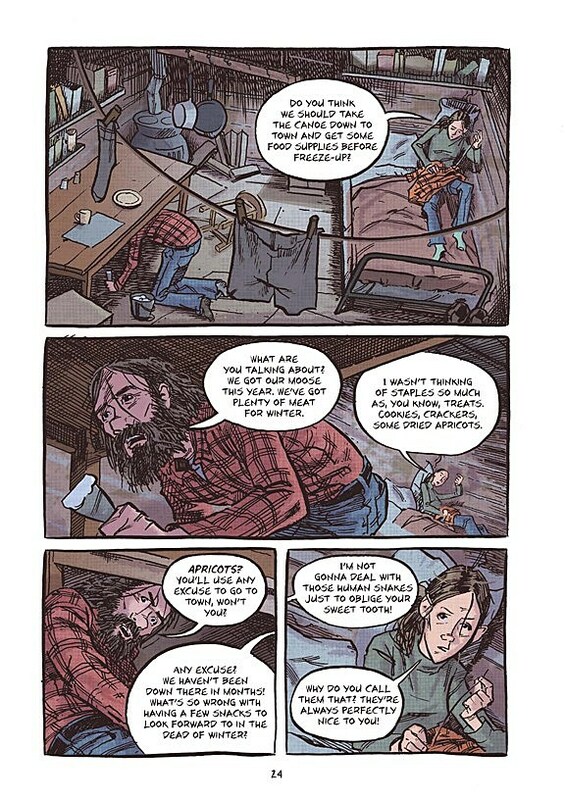 On sale now from First Second Books is MUSH: Sled Dogs With Issues, a new graphic novel written by Glenn Eichler, whose work you know from The Colbert Report and a little MTV animated series he created called Daria. 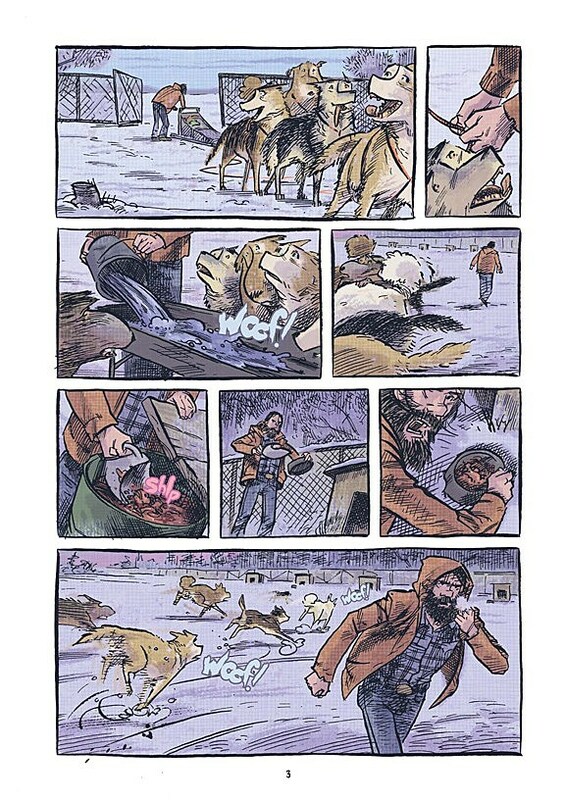 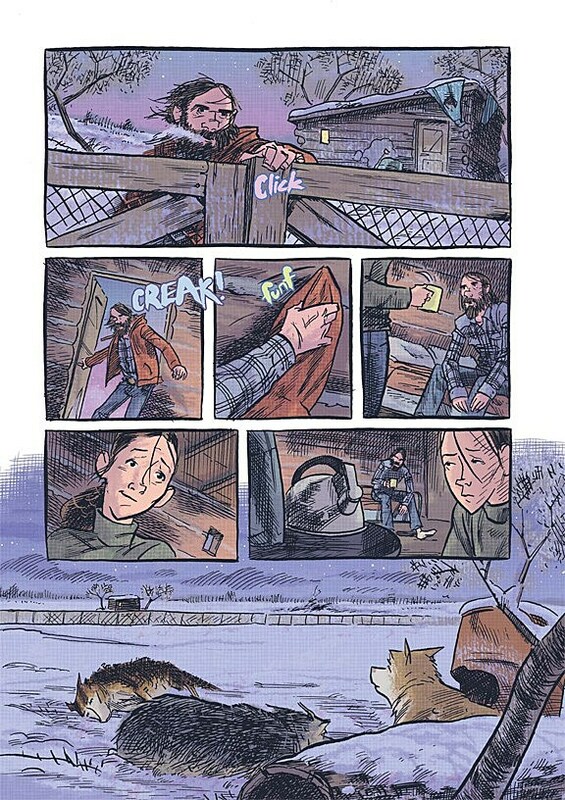 Illustrated by Joe Infurnari (ACT-I-VATE), the 128-page book offers a look into the office politics (and romances) of Alaskan sled dogs, some of whom live only to run and some of whom yearn for a more creative existence. 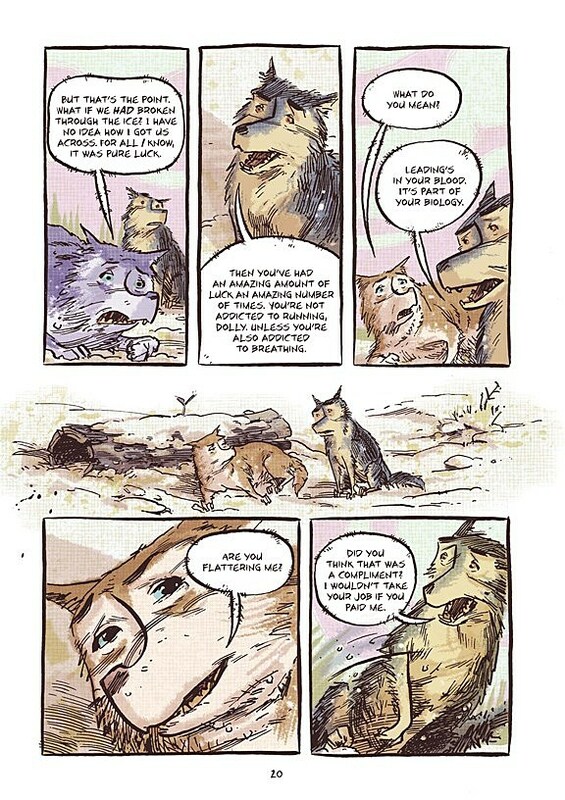 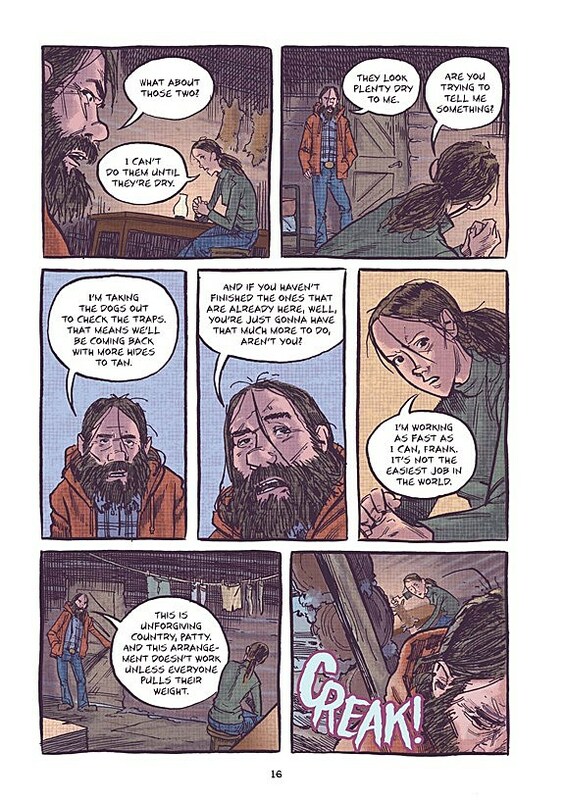 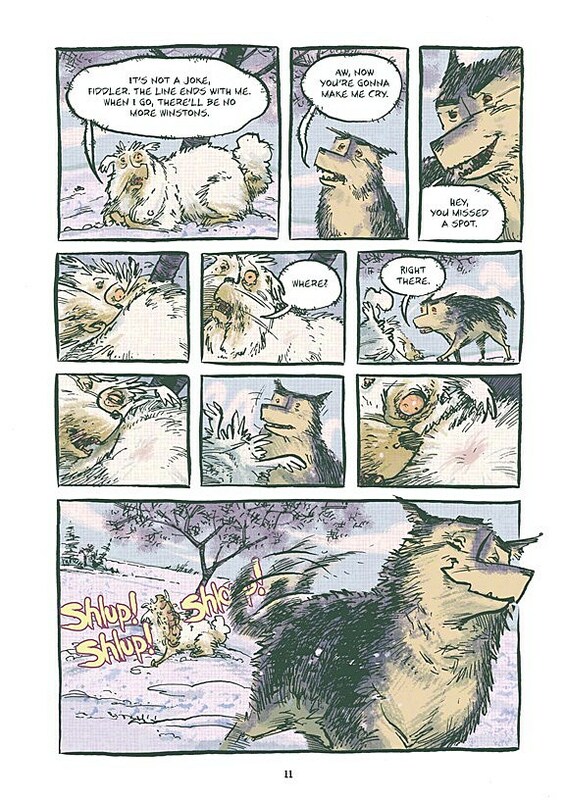 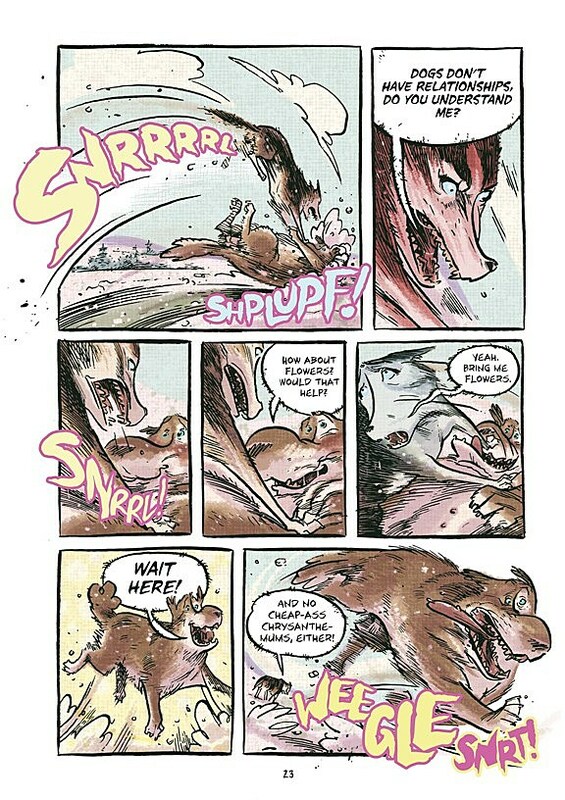 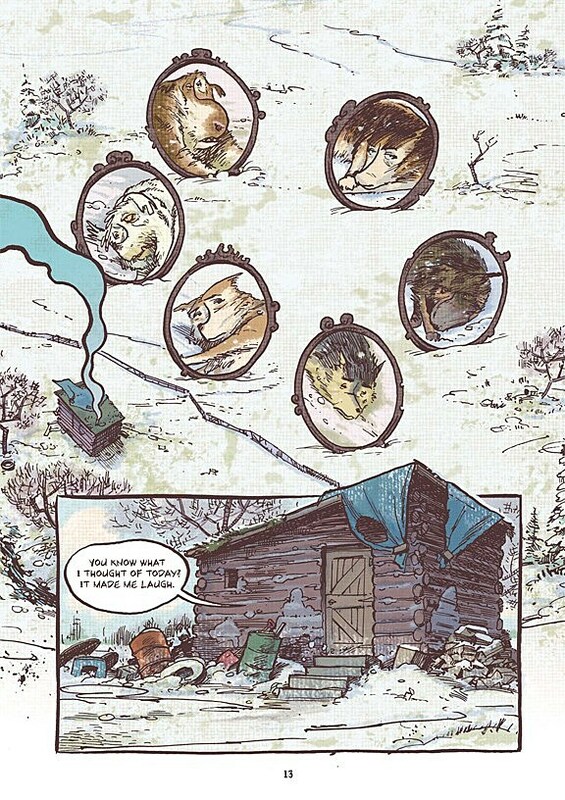 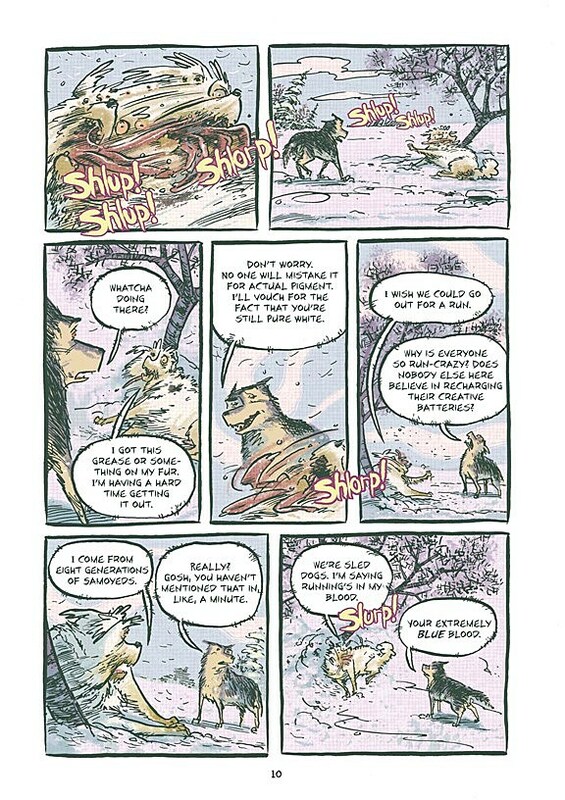 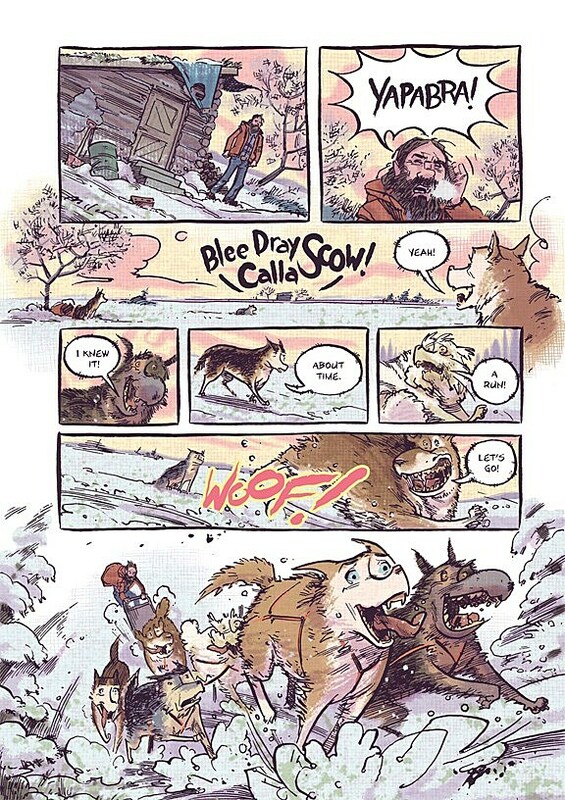 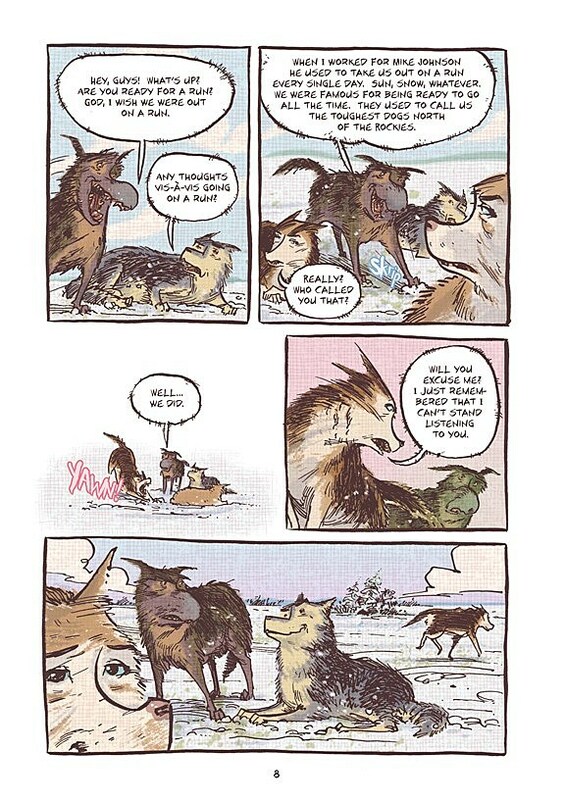 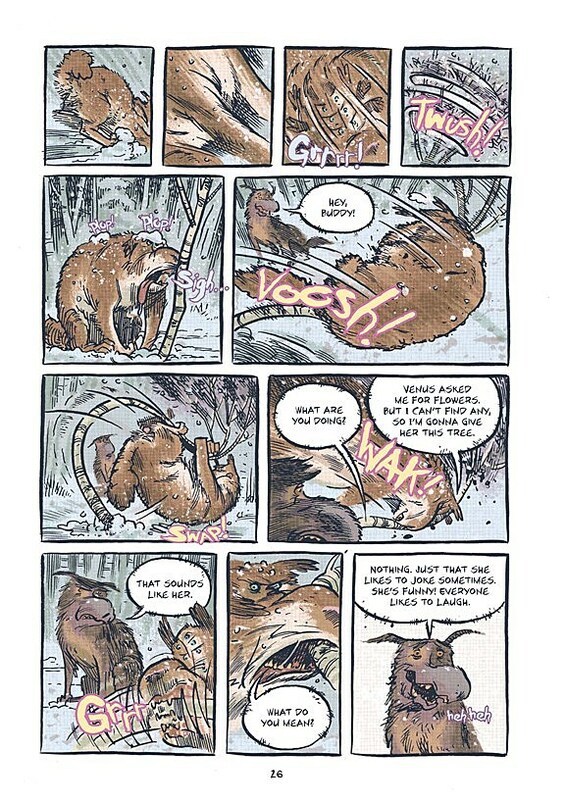 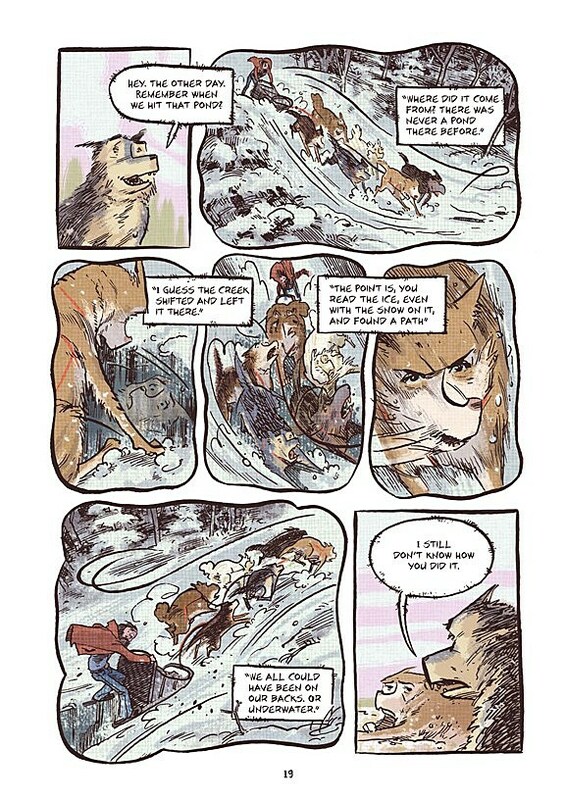 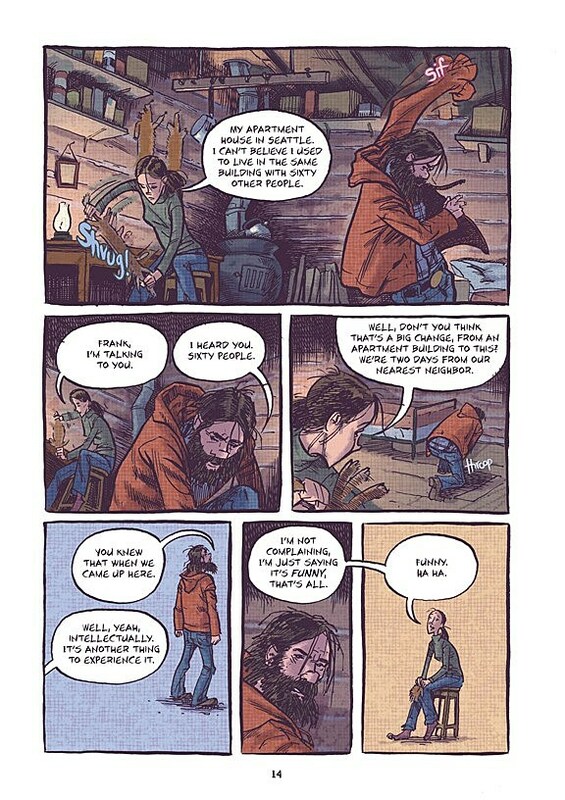 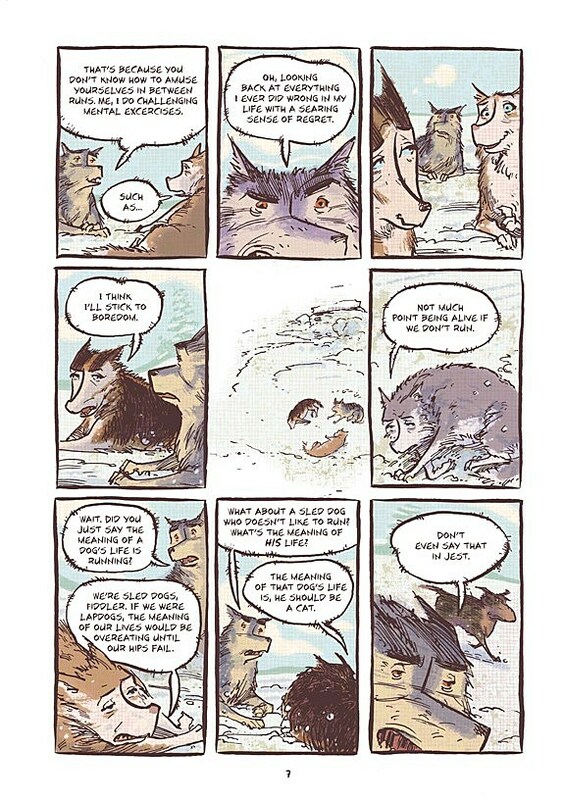 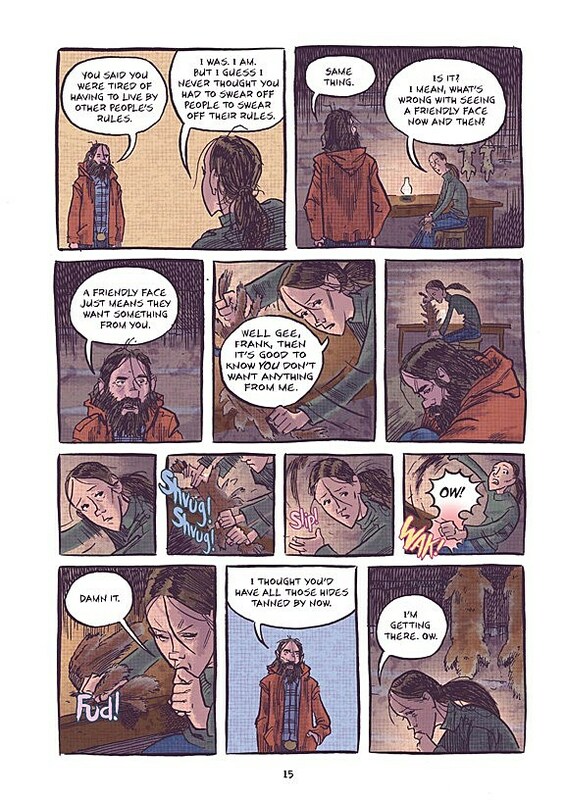 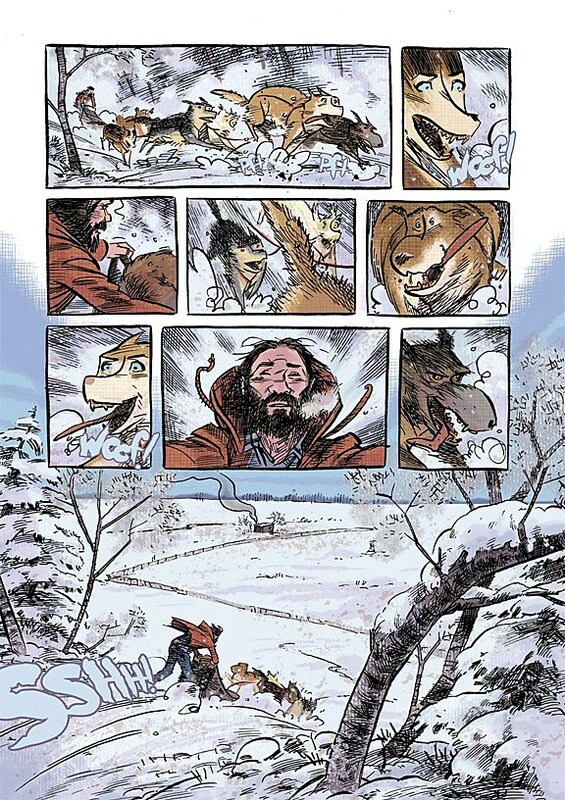 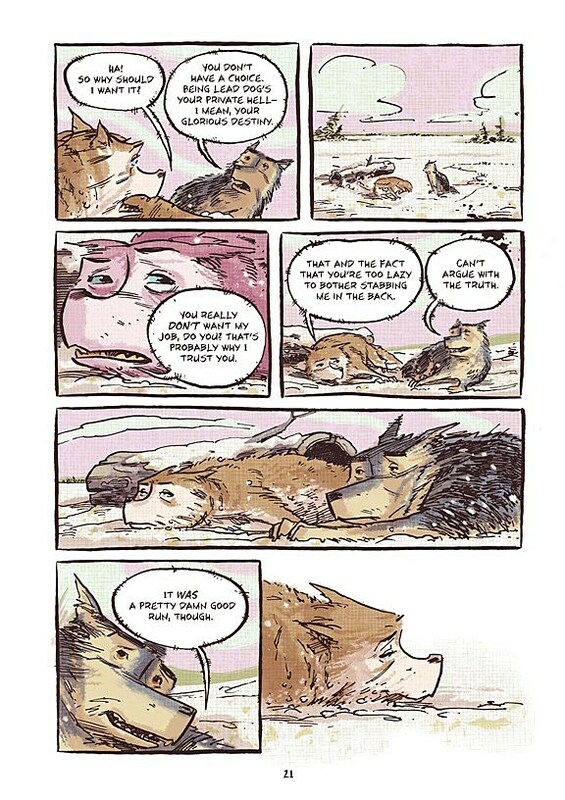 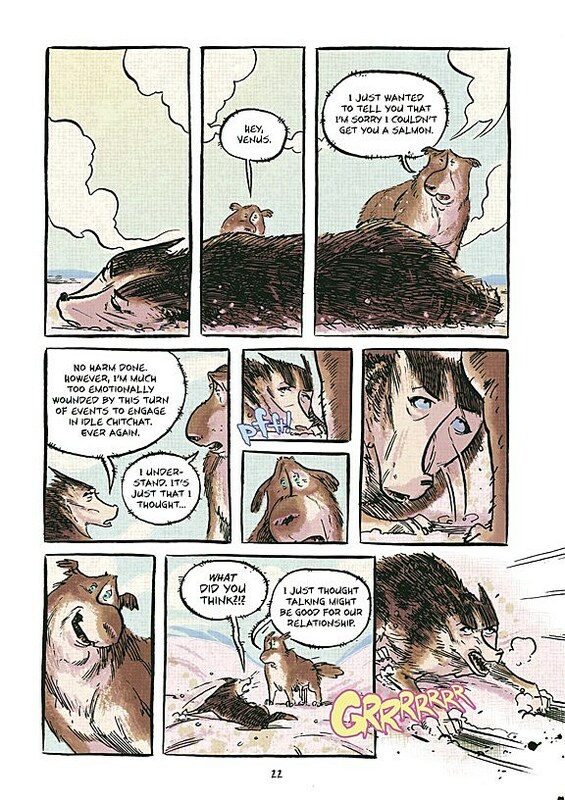 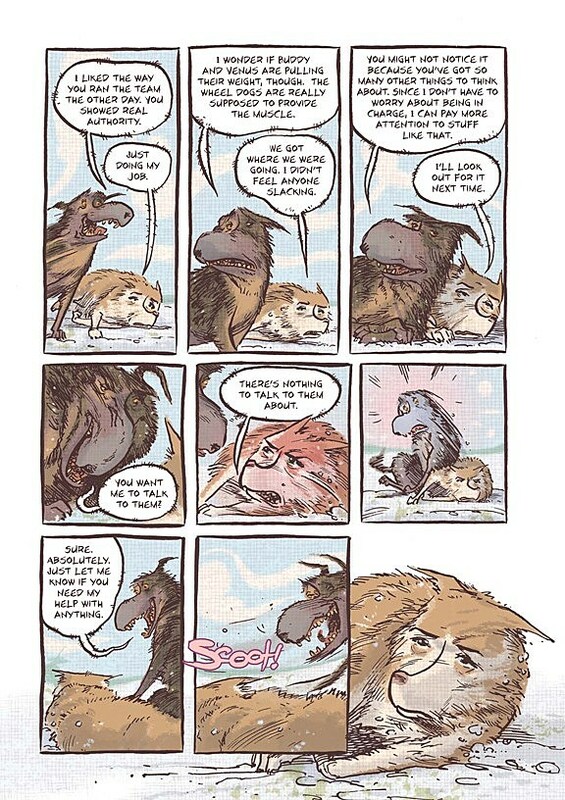 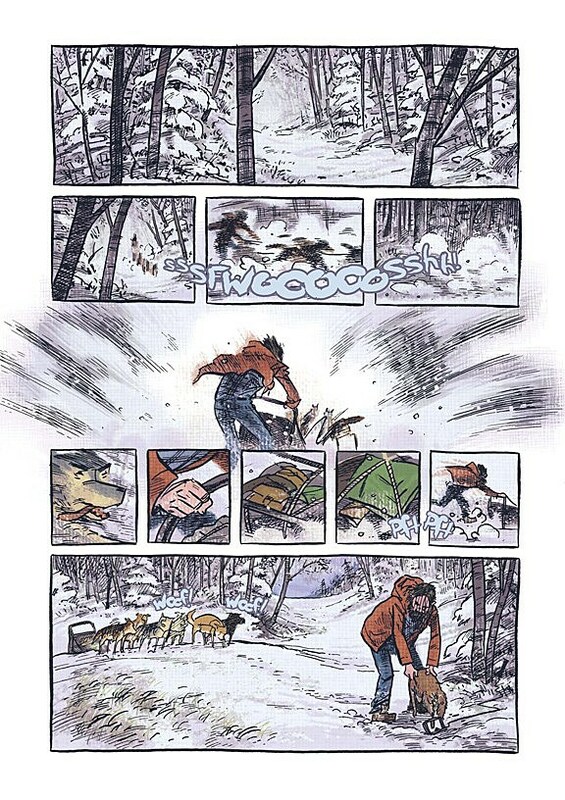 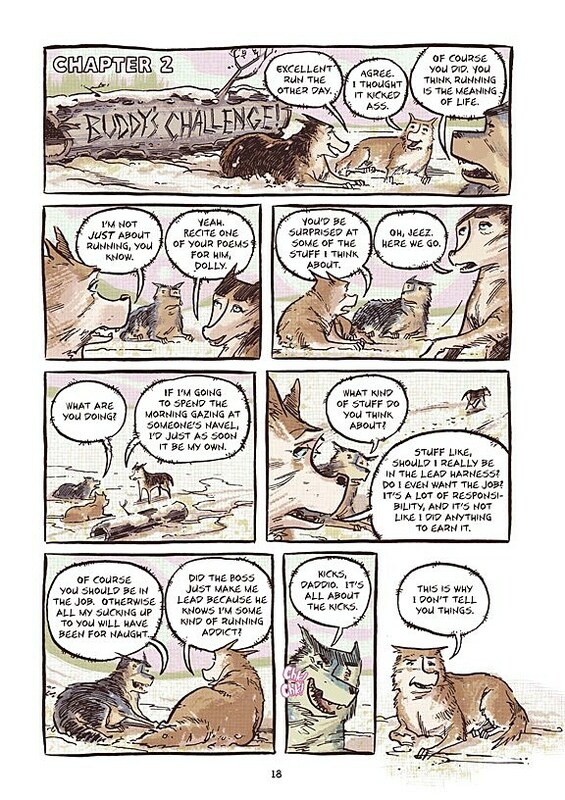 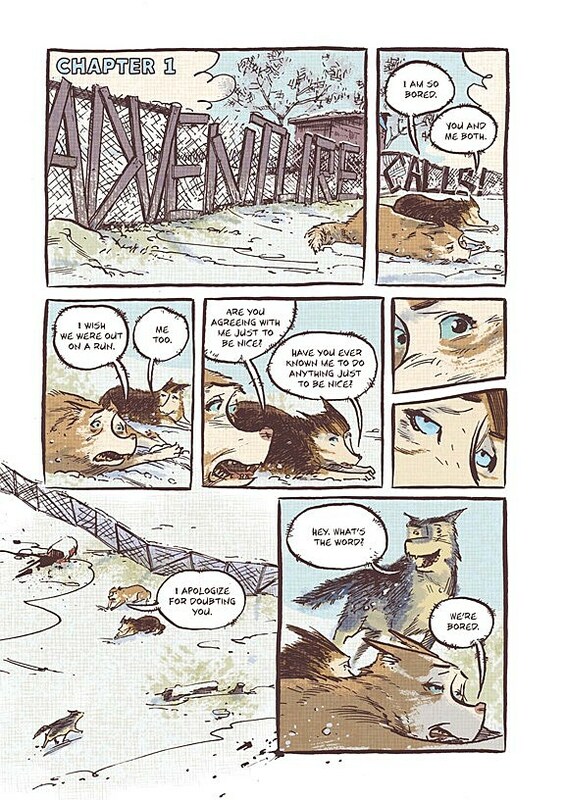 MUSH's talking dog characters are as well-developed as they are cute, and their story parallels the tense relationship between their misanthropic mountain man owner and his homesick companion. 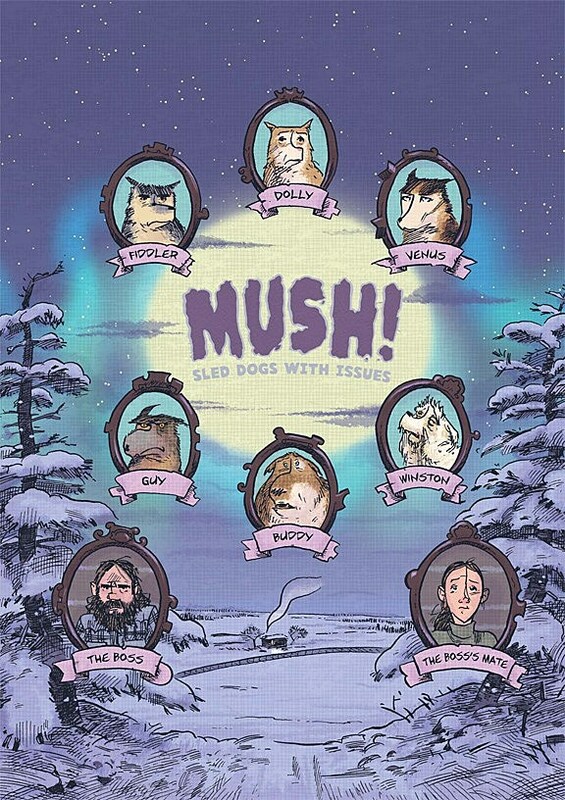 MUSH was given a plug on a recent episode of The Colbert Report, whose host Stephen Colbert described the graphic novel as "talking Alaskan sled dogs jostling for power," which is really quite accurate. 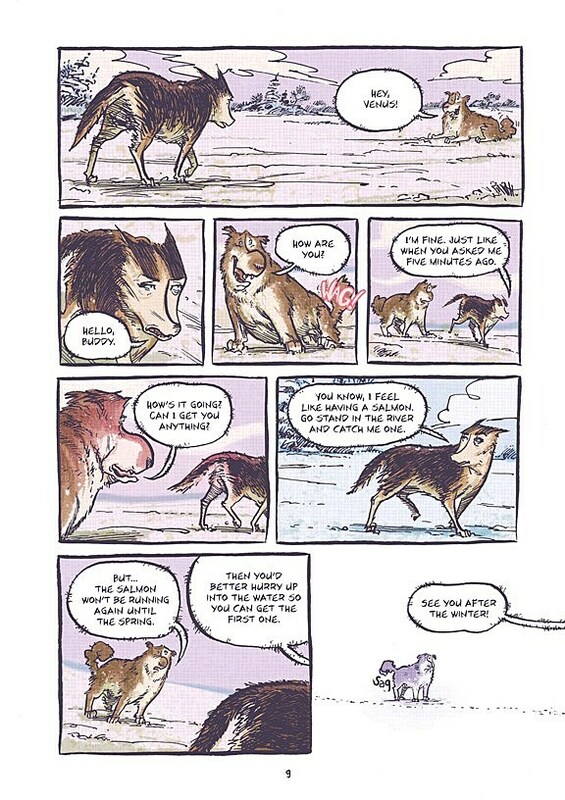 First Second provided ComicsAlliance with a 27-page preview of MUSH that you can read after the cut.